HARTFORD, Conn. - "You can't tell me that food isn't pretty." 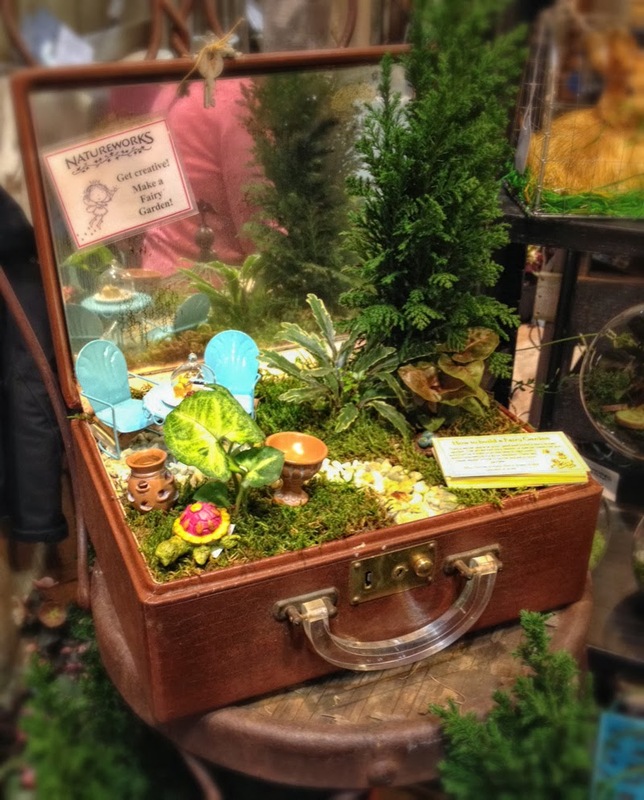 at the Connecticut Flower and Garden Show. 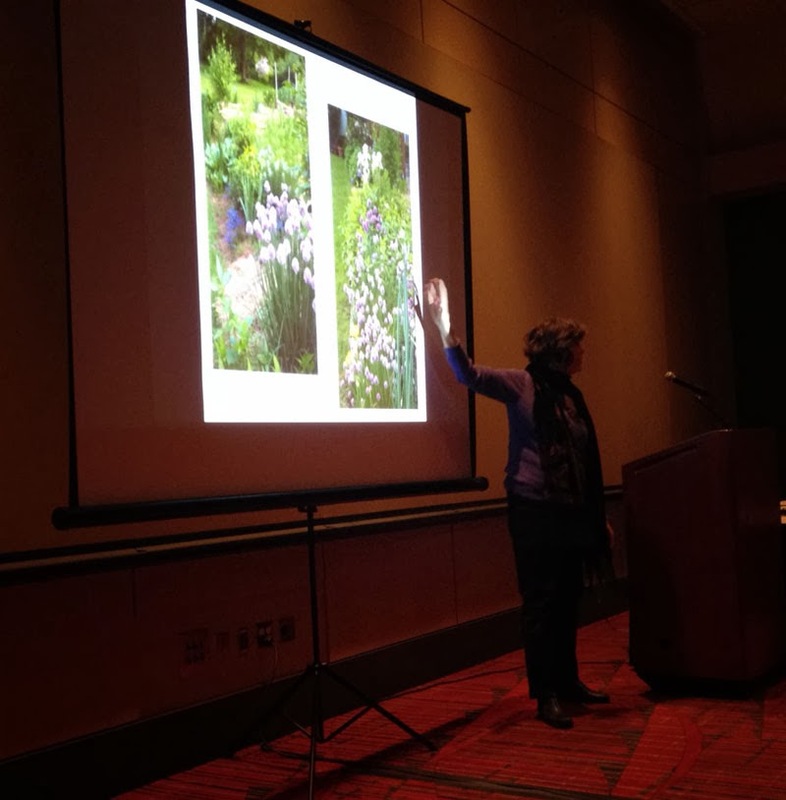 Nancy DuBrule, owner and founder of Natureworks of Nortford, Conn., shared photos from her garden, clients' gardens and portions of Natureworks during her talk Thursday. Her seminar "Blended Gardens," part of the Connecticut Flower and Garden Show, shared how the food we eat can also be used to beautify a landscape. Proving that food can be grown anywhere, DuBrule began her slides with photos of Veggie Island, a raised garden created by Erich Bender, part of her staff, in the Natureworks parking lot. "Herbs are there to increase pollination of the plants," she explained when showing photos of the herb-spiral permaculture design. The food that was produced in Veggie Island was given away free to customers. A peek at DuBrule's own garden shows how ornamental flowers and edible flowers coexisted around the borders of her raised vegetable beds. The series of colorful photographs included breadseed poppy, calendula, gomphrena fireworks, bronze fennel, iris, rudbeckia triloba and fennel. Fennel, an herb, is grown for its leaves and seeds but if allowed to flower it will attract beneficial wasps. Mixing flowers around the border vegetable gardens also attracts beneficial insects which decreases the need for sprays to control garden pests, DuBrule told her audience. But vegetables do not need to be relegated to their own corner of the garden, as the seminar's title implied. 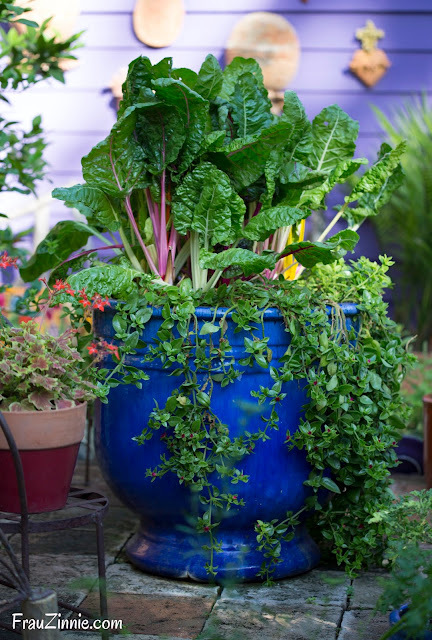 Many vegetables can be intermingled with annuals and perennials in front yard gardens for their ornamental value. But DuBrule cautioned gardeners to know how a plant will behave during its life cycle. "You must know the habit of the plants you plan to grow," she said. A tomato plant, especially an indeterminate one, will grow tall and lanky throughout its growing season. However, Bull's Blood beets, which have bright reddish leaves, can be tucked into flower beds with ease for the entire growing season. Curly parsley and alpine strawberries are also other good border plants. "The comings and goings of a vegetable garden can be a little tricky," she said. DuBrule used a a potato plant as an example of a plant that may look good temporarily when it is blooming, but will decrease in ornamental value as the plant dies back before the potatoes are ready for harvest. "If you are going to put edibles out front, you have to understand what the ornamental value of food is." Certain crops will not remain all season. 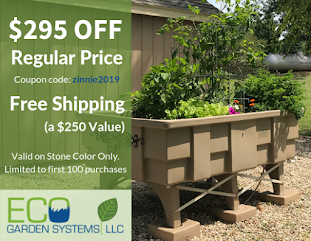 A garden that starts off with peas and lettuce will look great in cooler spring temperatures but will need to be replaced with other plants when the summer heat arrives. For example, DuBrule replaces her garlic (which is typically harvested in mid-July in the Northeast) with beans. 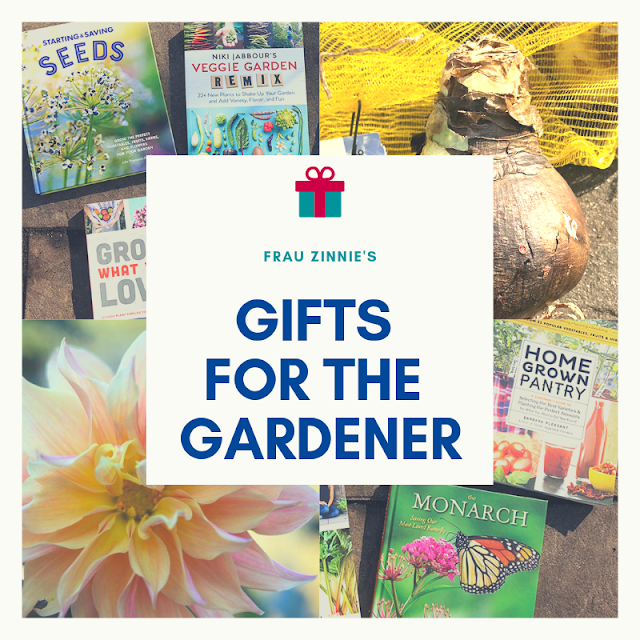 "If your vegetable garden is a little more obvious you can paint trellises blue, for example," she said referring to plants such as beans and cucumbers. DuBrule suggested mingling peppers in a sunny edible landscape to start. "They are pretty and easy." Okras also make nice ornamental plants with flowers that resemble a hibiscus. She explained mixing vegetables in an ornamental garden is no different than figuring out which perennial flower would look good with another. "Look at the edibles and ask what will go with this in my garden," she said about planning. Plants like asparagus can even be used in hedges, because their fern-like leaves will grow six feet tall. Other plants that may already be used for their ornamental value may already be in your landscape, such as daylilies and nasturisms. "Nasturisims are high in vitamin C and you can shred daylily petals into your salads," she said. "The choices are endless. [Ask] how I can make it fit."